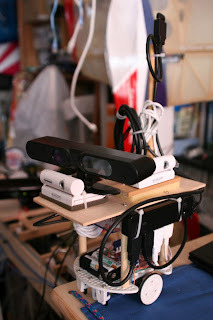 トマト農家のロボット創り　Robot creation by tomato farmer: An Installation of OpenNI2 on Raspberry Pi. To use a Xtion. An Installation of OpenNI2 on Raspberry Pi. To use a Xtion. An Installation of OpenNI2.2 on Raspberry Pi ---> Please see a new post. I've built new OpenNI2 driver and modules as following. This installation time is an hour. (26 Jan, 2013 : Both the 'master' and 'develop' were up-to-date. Please download a source zip file form Here. Assuming an installation directory "~/OpenNI2-develop".